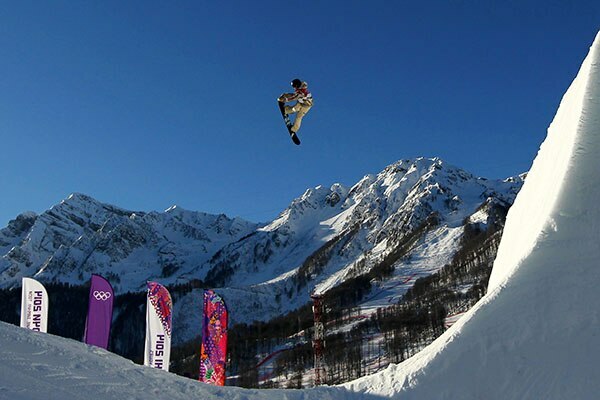 With two new events – slopestyle and parallel slalom – added to the programme, Sochi 2014 saw more snowboarding action than any other Winter Games in history, and Rosa Khutor Extreme Park played host to some of the most high-octane, adrenaline-fuelled competition ever seen on the Olympic stage. We run the rule over how things played out in each of the five men’s events. Sage Kotsenburg (USA) claimed the first gold medal of Sochi 2014, as snowboard slopestyle took its Olympic bow. Blue skies and sunshine provided a beautiful backdrop at the Rosa Khutor Extreme Park, while hard snow made for a fast 600m course designed for technical boarding, and featuring, among other things, a giant Russian ‘Matrioshka’ doll. The 20-year old Kotsenburg only qualified for the 12-man final via the morning's “second chance” semi-finals, but his first run scored 93.50 was to prove untoppable. That score was the reward for a particularly demanding sequence, including a full repertoire of grabs, a “cannonball” off the rail and some huge jumps combined finished off by perfect landings. It put him a full eight points ahead of Jamie Nichols (GBR) in second (85.50), with Sweden’s Sven Thorgren (83.75) lying third. In the second run, only Staale Sandbech (NOR) could get within touching distance, with a beautiful run that earned him 91.75 points and the silver medal, while McMorris saved his best until last, scoring 88.75 points for the bronze. 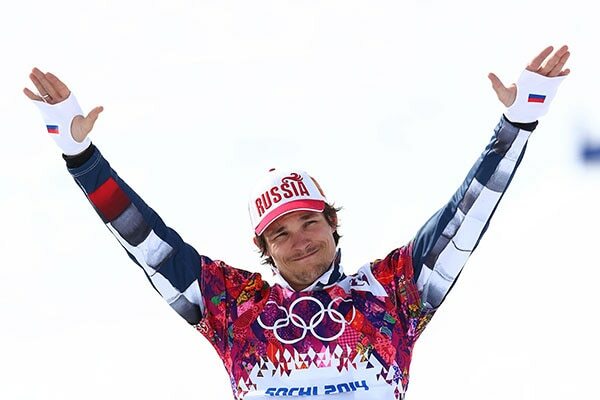 Iouri Podladtchikov (SUI) produced one of the biggest upsets of Sochi 2014 when he dethroned reigning champion and hot favourite Shaun White (USA) to win the men's snowboard halfpipe gold. White, who had won back-to-back titles at Turin 2006 and Vancouver 2010, failed to make the podium, as silver and bronze went to Japanese teenagers Ayumu Hirano and Taku Hiraoka. Podladtchikov scored a mammoth 94.75 points to seal the victory, while 15-year-old Hirano grabbed second spot with a score of 93.50, and Hiroaka, 18, posted 92.25. Hirano and Hiraoka became the first ever athletes from Japan, and indeed Asia, to win medals in an Olympic snowboarding competition. The Swiss rider succeeded in putting down some of his best moves, notably the “YOLO Flip”, a particularly audacious trick which involves a “cab double cork” combined with a 1440 spin (quadruple spin). It was a sequence of his own invention which his rivals have since endeavoured to emulate. Pierre Vaultier (FRA) won a thrilling men’s snowboard cross final, less than two months after a knee injury almost ended his hopes of competing at Sochi 2014. As many of the favourites toiled, Vaultier was in superb form throughout, saving his best for the final. However, the Frenchman had to hold off a determined challenge from Russia’s Nikolay Olyunin – even more of a surprise package – who won silver. Alex Deibold (USA) overtook Paul-Henri de le Rue (FRA) right at the death to claim bronze. The 26-year old Vaultier, who became the first Frenchman to win Olympic gold in this discipline, came into the competition ranked the sixth in the world, and was not widely expected to challenge for the podium. “I took off on the last jump and I still haven't landed,” said the boarder, who had defied the odds to recover from a cruciate injury suffered during a World Cup event at Lake Louise (CAN). Second seed Markus Schairer (SUI) wiped out in the last-16 and failed to finish, while top seed Alex Pullin (AUS) and fourth seed Alessandro Haemmerle (AUT) did not make it past the quarter-finals. American fifth seed Trevor Jacob lost his balance on the final slope in the semi-final and was piped to the podium by team-mate Diebold. All the while, Olyunin was majestic, wooing the home crowd as he won each of the three races in the build up to the final. However, it was Vaultier who had the last word. Throughout the day, he had exuded the air of a boarder at ease with himself and the course, and in the final stretch his acceleration was too much for the Russian, as he capped a fairy-tale return to the Olympic stage. As an 18 year old, Vaultier had participated in the debut of snowboard cross on the slopes of Bardonecchia at Turin 2006, finishing a lowly 35th. Four years on, by now the world number one and FIS World Cup leader, he arrived at Vancouver 2010 as the hot favourite, only to suffer the disappointment of a quarter-final exit. Coming into Sochi 2014 he was again a rank outsider, and as he reflected on his victory he said that the underdog role suited him to a tee. “Being an outsider worked for me. I find it really hard to manage the kind of pressure you get in a big competition,” admitted Vaultier. “I had a lot less pressure and a lot more pleasure, and I was finally able to win. I didn’t get any more stressed than I would before a World Cup race, and I’ve won plenty of those. Vic Wild (RUS) claimed a dramatic victory in the men's parallel giant slalom final… just minutes after seeing his wife Alena Zavarzina take bronze in the women's event. The 27-year-old was half a second down to Galmarini before the second run of the final, but he blazed back to win by two seconds as his Swiss rival ran wide on the turns. “It's incredible to have won a medal along with Alena,” said Wild. “If just one of us has success it's great. For both of us to have success on the same day is just incredible. I don't know how this happened, it's too good to be true,” he added. Defending champion Jasey Jay Anderson of Canada – competing at his sixth Winter Games failed to make the quarter-finals and finished 14th, two places behind Switzerland’s Philipp Schoch, who had taken gold at the previous two editions in in 2002 and 2006. Vancouver silver medallist Benjamin Karl of Austria was another big name to finish down the rankings, finishing in tenth place. Wild claimed his second gold medal of Sochi 2014, winning the first ever men’s parallel slalom to complete an unprecedented snowboard double. Although Slovenia's Zan Kosir ran him close in the final, Wild emerged triumphant once more, roared on by the local contingent at the Rosa Khutor Extreme Park. Four-time world champion and Vancouver 2010 silver medallist Benjamin Karl of Austria won the bronze medal, seeing off the challenge of Italy's Aaron March in the small final. Wild credited his strong showing in Sochi to an intensive spell of off-season training. “This is beyond believable. When I came to the Olympics and showed up I had already won,” he said. “To win the other day was the greatest feeling of my life. I can't believe it. All those power drills I did in the summer, they really paid off. Nobody could keep up. In the early rounds of the competition Wild had been on a different level to most of his rivals. In the qualification and elimination rounds he was a second quicker than the rest, and came through his last 16 showdown almost two seconds faster than his rival. But his real moment of brilliance came in the semi-finals against four-time world champion Benjamin Karl from Austria. A mistake on the first run meant Wild was hit with the maximum deficit of 1.12 seconds, and his double hopes seemed over. However, in the second run, he delivered a startling performance to claw back the deficit, and surge into the final, where he completed his unique double.